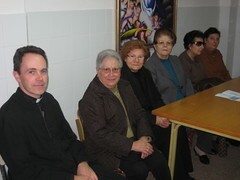 They have been supporting and motivating the groups that had already exist in the parish: First Communion and Confirmation catechism classes; Alter boys; Youth Group (post-Confirmation); Extraordinary Ministers of Holy Communion (visiting the sick); Catholic Charities; Legion of Mary; ¨The Tide of Life¨, an apostolic movement for the elderly; Married couples; the church choir and the polyphonic choir; The Center for Popular Culture; Spanish classes; Cleaning team; Parish Council and the Economic Council. 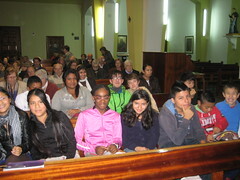 New parish groups have also been started, with the hope that they will bear abundant fruits, helping the parishioners´ faith to grow and to live out their faith better, with the Parish Youth Group for boys and girls, Sts. 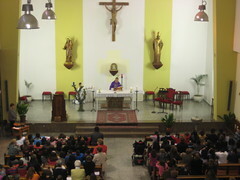 Tarcisius and Dominic Savio Altar Boys´Group – which Br. 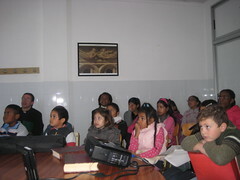 Joseph leads – and St. Pancracius English lessons – classes which the entire community of Servant Brothers give. A new youth group for boys with the Home of the Mother’s charism was started up recently in December – with the hope that a group of the Home of the Mother of the Youth will begin in Valencia – which is led by Fr. Dominic, who also visits 26 sick members of the parish each month, helped by the extraordinary ministers, in order to bring Holy Communion to them and so that they can get to know the other families in our parish. We have encouraged them to pray the rosary by reciting the rosary every day 30 minutes before mass starts. On Saturdays, mass is celebrated with the Confirmation class, so there are many young people present; this mass gives them the opportunity to experience the Holy Eucharist. 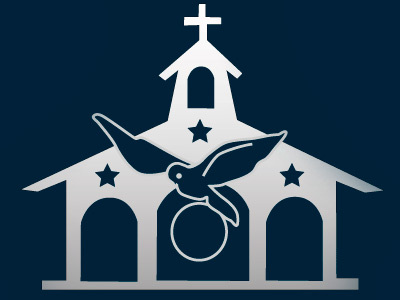 On Sunday, we have three masses: at 9 A.M., at 11 A.M. – which is the Children’s Mass, where the kids in the First Communion classes come, which helps them to bring the Mass alive – and at noon, which is the mass that the majority of the parishioners attend. Every Thursday before Mass, we have exposition of the Holy Sacrament. Also, during the rosary before mass, we always hear confessions; thus we have been encouraging them little by little to live and to turn to this very vital sacrament of our faith. Slowly but surely, as the parishioners have started to turn to us and after having gotten to know us better, the number of people that come to Mass has augmented, especially among the Hispanic and African immigrants. We continue to give of ourselves by serving the Church the best we can and we count on your prayers so that our apostolate may continue to bear fruit.